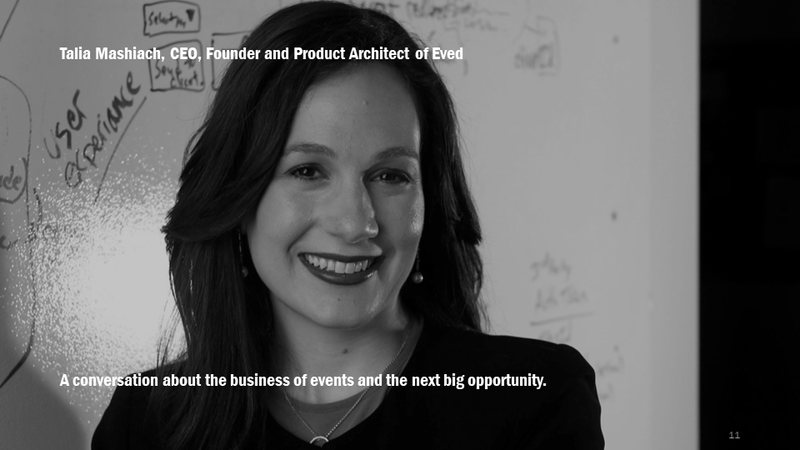 You won’t want to miss this blockbuster episode of The Big Top as TENTPOLE welcomes one of our industry’s leading innovators and open thinkers – Talia Mashiach, CEO and Founder of Eved. Talia has a “personal knowledge system” that utilizes unique habits, tools and experiences. How she thinks has helped her develop an understanding of the interdependent structures of the business of live corporate events. Learn why Talia believes live events are set for a big renaissance. Discover Talia’s perspectives on the value of data and why the industry must change its approach to leveraging this powerful asset. Understand the challenges of creating an entirely new category (“spend management”) in such a traditional and fragmented industry. Collaborate on growth opportunities and new ideas for Eved. Eved is the leading B2B digital payment and spend management software solution for the live events industry. Eved vastly improves the process of how large corporations request, order and pay for event services, bringing full transparency to meeting and event spending and giving organizers full control over their process and data. The Big Top is TENTPOLE’s weekly collaborative circus that brings together community members from around the world to engage in thoughtful, intentional collaboration to educate and inform, solve problems and challenges, and identify and explore business opportunities across the live event industry.